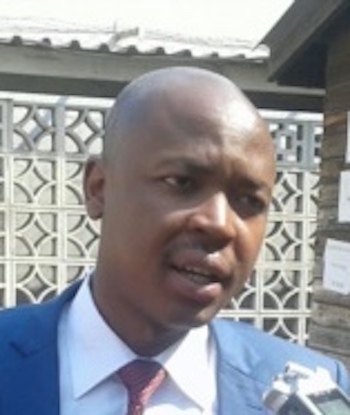 Summary: Kudzai Kadzere is an attorney in Zimbabwe who typically represents clients who have been arrested and detained for protesting economic and political conditions. Kadzere advocates for these citizens’ rights, regularly bails them out of prison, and often faces threats of beatings from local police. Profile: Kudzai Kadzere is a human rights attorney in Zimbabwe. That description alone assures that Kadzere faces more than the usual legal obstacles in representing his clients. He faces not only challenges from the court but also harassment and threats from the police and other government officials. Many lawyers refuse to offer their services to such activists for fear of reprisal from the brutal state security apparatus. But Kadzere has embraced the opportunity; he has bailed out numerous political activists who had been imprisoned for demanding political and economic reforms. The people he has helped bail out include 60 ordinary citizens who had been languishing in remand prison following their arrest after demonstrating against poor economic conditions in the country. But along with valor comes risks: Kadzere has been threatened many times with beatings while attending to his clients at police stations. The political environment in Zimbabwe is heating up because of the elections expected in 2018 as scores of political activists are taking into the streets demanding electoral reforms, thus putting in more pressure to the dictatorial government of Robert Mugabe who has been in power for the past 37 years. More activists are being arrested, more are being kept in jail, and more are being deprived of their rights. Kadzere also advocates for prisoners’ rights, including their right to vote. He’s determined to keep on, despite the threats and the oppressive atmosphere.